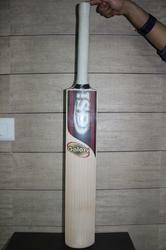 Our esteemed customers can avail from us high quality Cricket Bats. These products are manufactured using excellent quality timber that is sourced from most trusted and reliable vendors of market with the aid of our procuring agents. The offered assortment is capable of withstanding harsh conditions. In our range, we offer English Willow Cricket Bat, Willow Bat, Kashmir Willow Cricket Bat, Tennis Bat and Plastic Cricket Bat. We are dealing in the bulk quantity. Design Thick Edges, curved blade for powerful performance. We are a reputed manufacturer, supplier and exporter of finest quality English Willow Cricket Bat. The range made available by us is developed using superior quality material at our state-of-the-art manufacturing facility. Post-production, our range is stringently inspected on certain parameters of quality in order to rule out every possibility of defect. Ideal Beach or Indoor Cricket. Features Optimal durability & Excellent finishing. 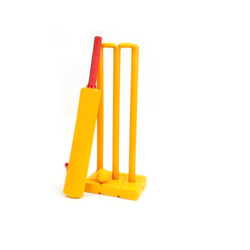 Keeping in sync with the times, we manufacture, supply and export high-quality Plastic Cricket Bat. Our experienced and qualified professionals manufacture these products using high-grade plastic so that these are in compliance with international quality standards. These lightweight products are ideal to play house cricket. Furthermore, we customize these as per customers' requirements at market-leading prices. 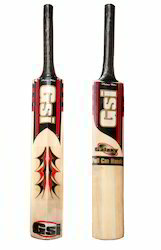 Ours is an esteemed organization that manufactures, supplies and exports high-quality Kashmir Willow Cricket Bat. Excellent quality Kashmir willow that is procured from vendors of high repute so that our range is in compliance with international quality standards. These products are shaped and styled for maximum stability. Furthermore, our range is available in sizes of sh, 6,5 and 4. Moreover, we offer our range in variegated requirements. Owing to our expertise in this field, our firm is engaged in supplying an extensive array of Rugby Kicking Tee.